Report of Private Bohm, 1. Company/GrenReg 89 about the combat in Frenz Castle. On November 24, 1944 our company, about 30 men, took up positions in Frenz Castle. Battalion CO was Captain Ripke. Coming from the county road, the first you can see are some cow-pens, stables, and outhouses. Then you step through a gate and in front of the mansion inside Frenz Castle. Through porch and door you reach a larger hall. We, Group Cords, have spent four days in that hall. The hall is connected to the cellar by a stairway and there is another stairway leading up. The Americans had pursued us faster than we had thought and they took up positions around the outhouses and workhouses. That was only 150 meters away from us. Right the first night a patrol was sent out against them, 1 Sergeant and Group Cords, 11 men total. We advanced to the workhouses and were fortunate enough to find a number of Americans in a large cellar, most of them were sleeping. At first they did not want to surrender and come out. But after we fired a shot with the panzerfaust into the adjacent cellar room, 50 Americans did come up, one after the other, hands up in the air. We could also liberate 30 German soldiers, mostly wounded, which had been left behind in these houses. In the following three nights we had to go on patrols again but the Americans were now very careful to deny us any further success. Meanwhile Frenz Castle had been under heavy artillery fire. We observed everything from the windows and occasionally fired at the enemy infantry. 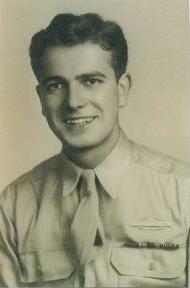 In the morning of 11/27/44 a medic and an American captain came over. He asked our company CO to give up the hopeless defense of the castle. This was of course rejected especially since we still had an open connection to the rear in case of a breakdown. He left and the shelling of the mansion by artillery and mortars intensified. The house started burning. We were relieved that same evening by 15th Pioneer Company of ParaReg 9.